Cruisers, naturally faster than the ponderous battleships, went to be seen like the “tip of the sword”, and compared to heavy cavalry on a conventional battlefield. The first single caliber battleship, the Dreadnought, has been influenced herself by a new type of armoured cruisers developed by Italian engineer Cuniberti. 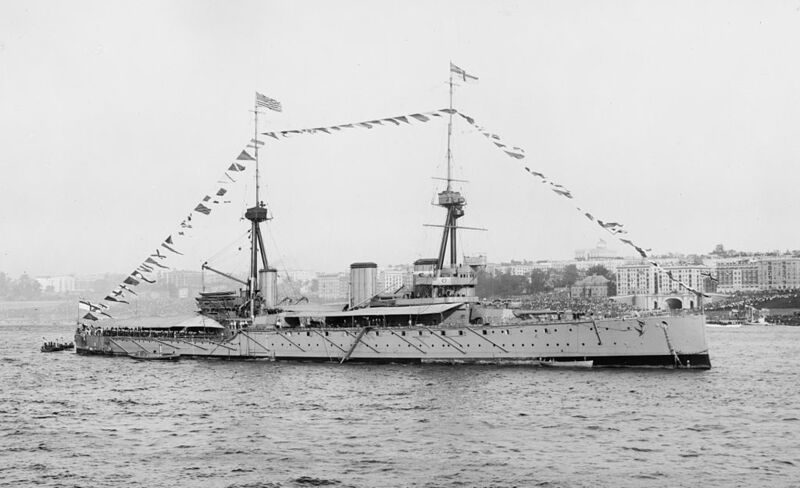 Moreover, continuity in the Royal Navy capital ship programme saw each new class of battleship assisted by a new class of armoured cruisers, like the Minotaur compared to Nelson. So it could not be otherwise with the new Dreadnoughts. Prior to the order to built HMS Dreadnought, discussions went well underway between Admiral Fisher and engineering shipbuilding offices. The latter, after the demonstration of the Russo-Japanese War, had rallied to his views the rest of the Admiralty. He said that speed was the determining factor, and that actual battleships were too slow. Speed was a kind of “active” protection, allowing a ship not strong enough to sail out from enemy blows, unlike passive protection which was only useful against submarines, torpedo boats and destroyers. Typically “fight the weak, flee the strong”. It is on these premises that was created the concept of “battlecruiser” to break with the continuity with previous armoured cruisers. 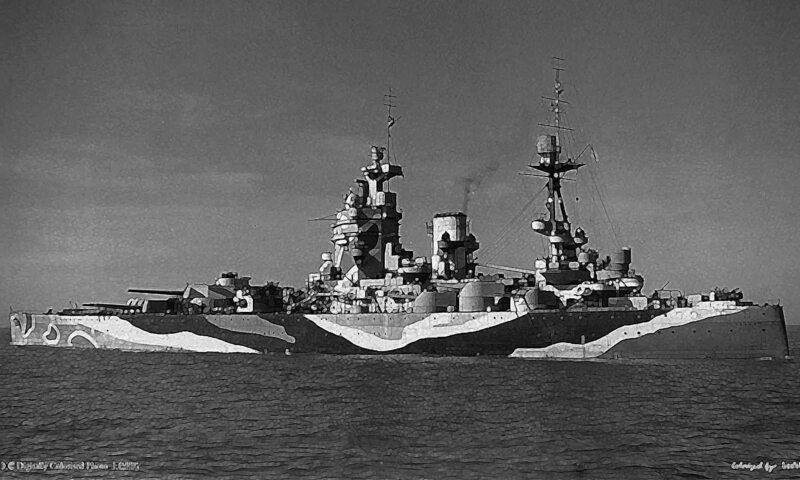 Because unlike the latter, the new ships were given the same powerful all-big guns artillery, but in return traded protection for speed as protection (at least on British ships) was still comparable to a cruiser (150 to 200mm). Theur great speed made them best suited for “armed reconnaissance” missions. This tradeoff in protection became quite popular in navy staffs around the world, but this theory only came to its ultimate moment of truth at the Battle of Jutland. 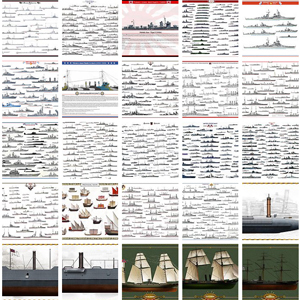 Only three countries will have the opportunity to build battlecruisers, which were fewer in number than battleships. The British will launch sixteen (the last, HMS Hood, being launched in 1920), The Germans had seven, and the Japanese four. 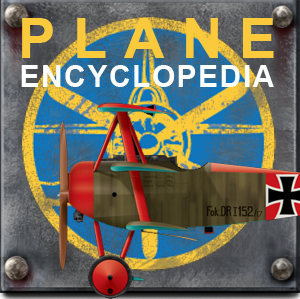 France programmed some in the Durant-Viel 1912 programme to be delivered in 1916, and the Americans planned a class of five to be launched in 1920. After the Treaty of Washington, this type of vessel was very much dropped but the “speed as a protection” illusion still prevailed as shown with the 1930s Washington treaty compliant “tin-clad cruisers”. At the beginning of World war II, only three battlecruisers were in service (with the British Navy), the others being converted as aircraft carriers of as fast battleships (like the Kongo class). They have been indeed rendered obsolete by new fast battleships, and combat aviation. HMS Indomitable at Quebec Tercentenary. 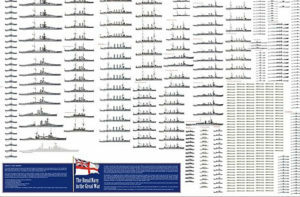 The Three Invincible, were laid down respectively in Fairfield, Clydebank and Elswick, from February to April 1906, launched in early 1907 and completed in June 1908 (Indomitable), October 1908 (Inflexible) and March 1909 (Invincible). Final plans revealed vessels that were not elongated clones of the Dreadnought, but rather armoured battleships with heavy artillery. They shared the same turrets (although lighter) but had but only four turrets and eight 305 mm guns instead of 10. 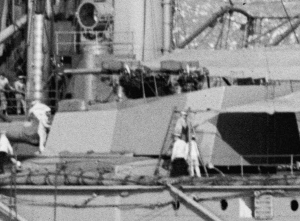 In addition, these turrets were disposed in lozenge, with the central on en échelon much like the Colossus and Neptune battleships. Theoretically, this provision allowed a full Broadside, although their shooting angle was limited, and six guns only in pursuit or retreat. The design of these ships took time, as their construction. They were also 50% more expensive than the previous Minotaur class, but perfectly fulfilled initial specifications and obtained excellent trials results. Critics came later, and concerned the whole battlecruiser type. 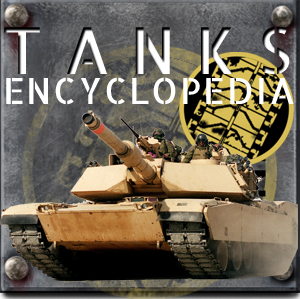 Confusion was maintained in the admiralty as they had heavy artillery, were named like battleships, and included from the outset in battle lines together whith battleships, while their true role was more of a classic cruiser: Waging war on trade and hunting smaller vessels. They had been designed to perform both. Their propulsion was a must at that time, due to no less than 31 boilers. They reached 25.5 knots, 2.5 more than armoured cruisers. Some subsequent changes affected their appearance during service, as all three had their fore chimney raised, and canvas protections added to their light artillery on the turrets roofs, and in 1914, their torpedo nets were removed and a new firing control system was added. Later in the war they anti-aircraft 76 mm ordnance, then their upper masts were removed, and platforms added on the “A” turret for airplanes. 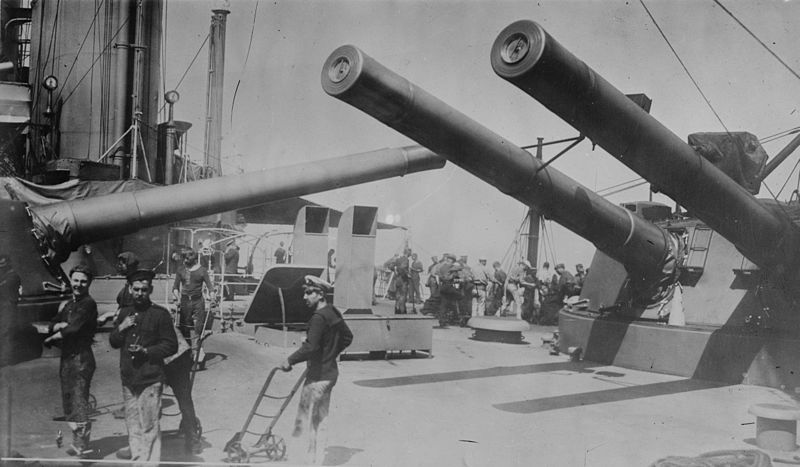 Following the experience of Jutland in May 1916, protection was also improved. 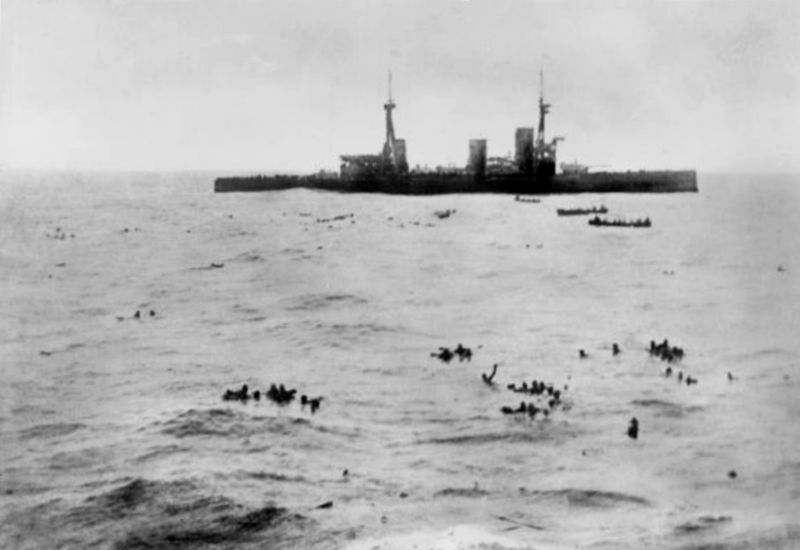 Invincible suffered from a collision with submarine C13 in 1913. At the time of the declaration of war, she was in Queenstown, to prevent German raids. 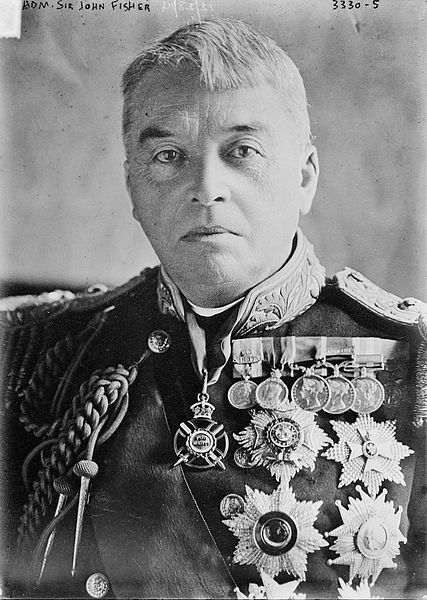 Then participated in the Battle of the Bay of Helgoland, then was detached with the Indomitable to the Falklands under the command of Commodore Sturdee, taking part in the Second Battle of the Falklands in November 1914, avenging the destruction of Sir Cradock’s squadron and destroying Scharnhorst and Gneisenau, the best ships of the German Pacific squadron. After a brief overhaul at Gibraltar the Invincible was detached to Rosyth, joining other sister ships to from the 3rd Battlecruiser Squadron. In May 1916 she was training at Scapa Flow, taking part in major firing exercises, soon before the legendary Battle of Jutland. Flagship of Admiral Horace Hood, the Invincible engaged light cruisers scouts Pillau and Wiesbaden, putting them out of action, then crossed swords with battlecruiser Lützow, inflicting her severe damages. But soon the Derfflinger replicated and hit the Invincible 5 times, the last round blewing up her side turret, causing a dramatic cordite fed fire of accumulated dust in the cluster well. The flash detonated itself and a huge explosion ensured, breaking hull in two. She sank quickly, carrying with her almost all her crew in the deep. 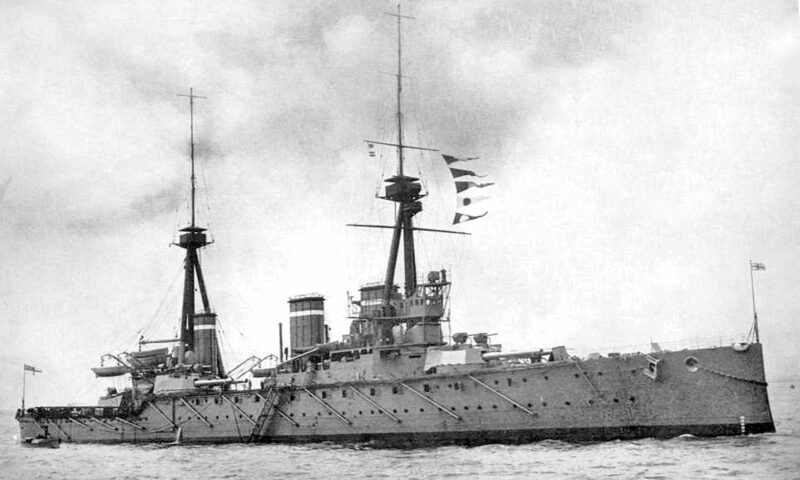 The Indomitable, which interrupted tests to carry the Prince of Wales to Montreal, served in the Home Fleet. She was transferred with the Invincible in the Mediterranean, undergoing some changes in Malta in June 1914. Both ships participated in August to the hunt for Souchon’s squadron, Goeben and Breslau, escaping from Port Said. Later on she took part in the Dardanelles forts. She was then returned to Rosyth, but participated in January 1915 to the Battle of Dogger Bank, squaring on Blücher, (finally sunk by HMS Queen Mary). She also managed to destroy a Zeppelin with two shots from her pieces of 305 mm at maximum elevation, a rare feat at that time. She towed HMS Lion out of harm, at Rosyth, severely damaged. Soon after, she was herself victim of a fire, rapidly mastered, caused by an electrical short circuit. After a brief overhaul, she joined the Grand Fleet, and participated in the Battle of Jutland, she fired on Derfflinger, Seydlitz damaging also the battleship Pommern. She spent the rest of her career detached at 2nd battlesquadron until 1919, when placed into reserved, paid off and broken in 1922. HMS Inflexible in the Falklands. The Inflexible sustained damage during test firing because of the explosion of a coal barge. She was flagship of Sir Edward Seymour at New York, late 1909. In 1911, she collided with Bellerophon, was repaired, then posted in the Mediterranean, flagship of the Admiral Milne, as headquarters of the Fleet. He hunted down the Goeben and Breslau in the hours following the declaration of war, and after an overhaul was sent to the Falklands, destroying the Von Spee’s squadron. 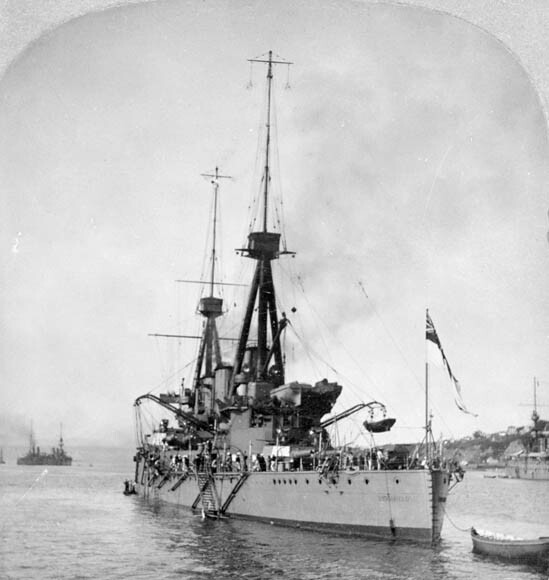 HMS Inflexible at New York, 1909. In 1915, sent in the Mediterranean, she replaced the Indefatigable, bombarding Turkish forts of the Dardanelles. She suffered several hits, losing two 305 mm guns on 18 March and hit by a mine the day after, forcing her to resume the fight and be towed for repairs in Malta. Back in Rosyth, she participated in the Battle of Jutland, without suffering damage. Then she long inactive, participation in the short “Battle of May Island” in February 1918. She was placed in reserve in 1920 and broken two years later. 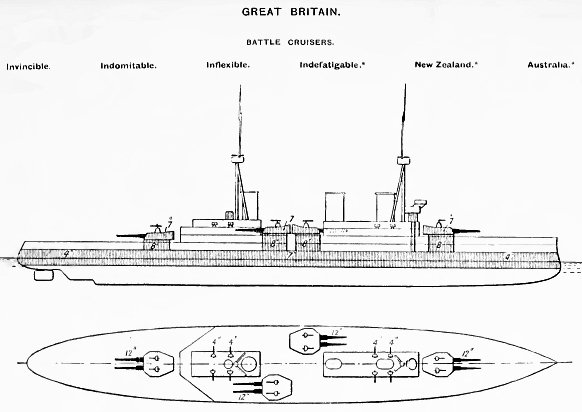 Illustration of the Invincible in 1914.